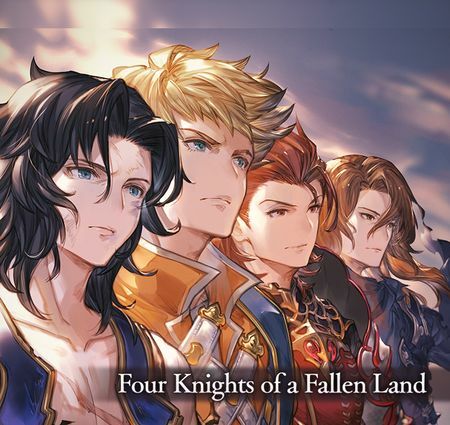 Four Knights of a Fallen Land is a side story that became available on November 20, 2017. 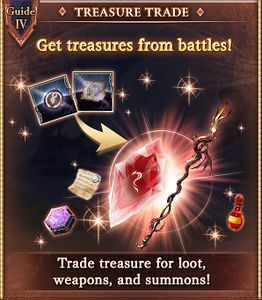 This event is part of The Dragon Knights series. 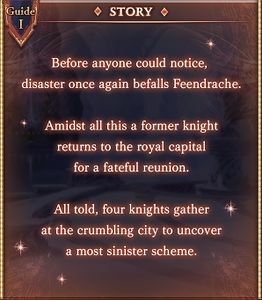 4 Challenge Battle: "Knights and Demons"
disaster once again befalls Feendrache. 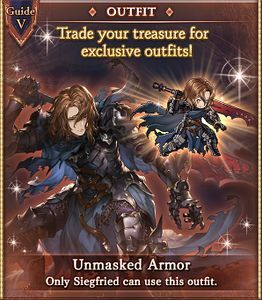 Support Skill give him a boost for being paired with Vane. Synergy with Supplemental Damage through Southern Cross. 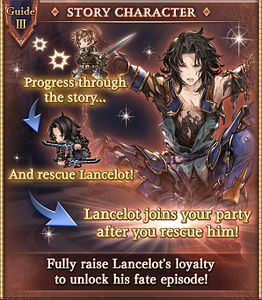 Lancelot (Event) temporarily joins after clearing Chapter 3. Earn 750 loyalty to keep him permanently after the event ends. Fire damage to all allies and removes all buffs. Fire damage to one ally and inflict Megiddo Fleim. Reduces ATK and DEF. Afflicted ally takes 100% max HP plain damage after 5 turns. Can be removed. Casting a skill inflicts Megiddo Fleim on another ally. Challenge Battle: "Knights and Demons"
debuffs. Remember to use the healing potions that drop if your Main Character is not a healer. 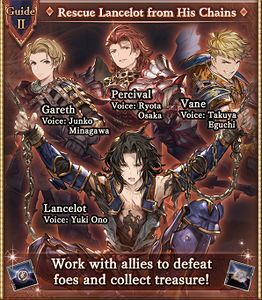 Use Percival's 2nd skill on the boss whenever possible. Savior of the Capital 亡国を救いし者 ★ Get 200 triumph medallions Crystal ×30 No longer available. This page was last modified on 6 April 2019, at 06:04.